PDPU UG Admission 2018 – Pandit Deendayal Petroleum University is inviting the applications for the admission in UG courses. 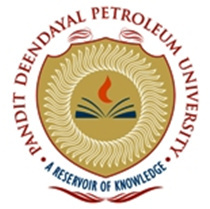 Pandit Deendayal Petroleum University (PDPU) has been established as a Private University. The University has four schools located on the same campus. The Admission Process for Bachelor Degree Programme 2018 will be conducted under the direction of the Admission Committee headed by the Director. On this page, the detail information about the PDPU UG Admission comprises of the eligibility criteria, application process, fee, result, and selection etc. The eligibility criteria are different as per the courses. Therefore, to make the better understanding of the eligibility as per the course, the criteria is separately given in the tabular form. examination or equivalent from any discipline. There is a common form of all the programs BA/BBA (Honors), B. Com (Honors) and B. Sc (Honors). The candidates can apply for all the programmes as well according to their eligibility. The application process has now been started and the candidates can fill the application form on or before the due date. The last date to fill the PDPU UG Application form is 19 May 2018. The steps to fill the application form are given below. The instructions to fill the form given on this page will help in guiding to fill the form. Therefore, the candidates filling the form are suggested to follow the instructions. Personal Details: The candidates in this section have to provide the details such as Gender, Communication address and they also have to upload their photograph. Academic Details: In this section, the candidates have to provide the details regarding the qualifying examination such as the name of the board, year of passing the exams, extra activities etc. Choice of Study: The candidates in this section have to choose the preference of the course they want to pursue and the exam centre of their choice. STEP 3: After filling the application form, the candidates are suggested to check your form before making the final submission. After checking the details, the candidates should click on the submit button which will redirect the candidates to the payment gateway. The application fee can be paid by online mode. Candidates have to pay the non-refundable PDPU Application Fee through Internet Banking/Debit Card/Credit Card for completing the application process. The candidates before submitting the application are advised to ensure that the details filled by them are correct in all and then make the final submission as the candidates need to know that once the application gets submitted, the candidates will not be able to change the details of the application form. The application fee amount which should be paid against the PDPU Application form is Rs 1,200 which is non-refundable. The candidates should have to deposit the fee only once. The course fee for the PDPU UG Admission which should be paid by the candidates is given in the table below. The course for the NRI students is also given. The course fee given in the table below is for the BA Hons/ BBA Hons/ B.Com Hons/ B.Sc Hons. The specific category of the fees is mentioned in the table below. The PDPU will hold the written examination and the result will be declared by the PDPU. The PDPU has decided to do the selection in two phases. Both the phases are mentioned below. Written Test: The first phase of selecting the candidates is written test. The written test will evaluative the applicant’s competence in which the essay writing will also be concluded. Personal Interview: The written test and personal interview will be conducted on the same date and will evaluate the candidates on the various scale based on communication, approach/ aptitude and co-curricular activities and sports. The exam centres given in the table below shows the centres allotted for the PDPU Entrance exams. The name of the centres is given in the table below. The candidates while filling the application form have to select the choice of their exam centre. The candidates after completing the course for which they enrolled from the PDPU will have multiple career options in their field. The placement records of the Pandit Deendayal Petroleum University is also impressive. The representative list of the recruiters for the placement is given below.